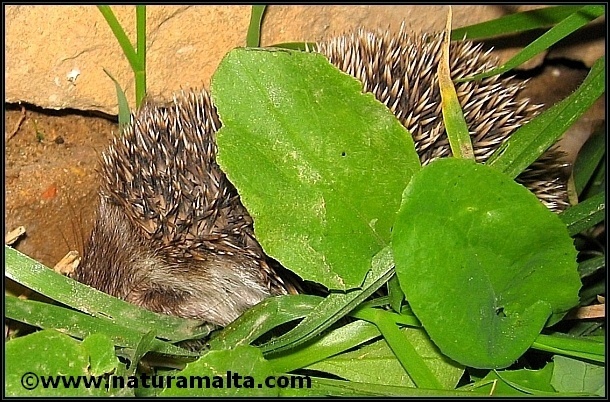 The North African or Algerian Hedgehog (Atelerix algirus) is the only native hedgehog on the Maltese Islands. It is relatively small and shy and due to population declines in recent years, rare. Its nocturnal habits make it all the more difficult to find. It feeds mostly on small arthropods (including large insects) but also on small vertebrates.